They may not be something we think about very often, but our vehicle’s brakes are one feature that should always be in top working condition. Let’s look and see how to spot the warning signs you need new brakes. There are two ways to check for brake wear on disc brakes: by looking and listening. First, check for wear by looking at your brake pads through the spaces between the wheels. The outside pad will be pressed against a metal rotor. Generally, there should be at least 1/4 inch of pad. If you see less than 1/4 inch of pad, you may want to have your brake pads inspected or replaced. Have you ever heard a high-pitched screeching sound when you applied your brakes? That’s a small metal shim, called an indicator, which is giving you an audible warning that you need to replace your brake pads. You should be aware of this sound (which is loud enough to be heard while the windows are up, but not necessarily loud enough to be heard over the radio or air conditioner). If you hear it regularly, quickly make an appointment with your mechanic. One exception is if your car has been sitting after being exposed to water, such as from rain or from washing it. The moisture can cause a thin layer of rust to develop on the brake rotors. This is normal. When you first apply the brakes, the pads pressing on the rust-covered rotors may cause a squeal for a few stops until the rust is worn off and then the sound should disappear. Here are some other signs of brake problems. If you experience any of these, you should visit your repair shop as soon as possible. Reduced responsiveness or fading. If your brakes are not as responsive as they should be or if the pedal “sinks” toward the floor, this could be an indication of a leak in the braking system. It could be an air leak…in the brake hose…or a brake fluid leak. One warning sign of a brake fluid leak is the presence of a small puddle of fluid when the car is parked. Brake fluid looks similar to fresh motor oil, but with a less “slimy” texture. Pulling. If your vehicle “pulls” to one side while braking, it may be a sign that the brake linings are wearing unevenly or that there is foreign matter in the brake fluid. Your vehicle may need a brake adjustment or to have the fluid drained and replaced. Grinding or growling. This loud metallic sound means that you have worn down the pads completely, most likely beyond replacement. The grinding or growling noise is caused by the two pieces of metal…the disc and the caliper…rubbing together. This can “score” or scratch your rotors, creating an uneven surface. If this happens, don’t be surprised if your mechanic tells you that the rotors need to be turned (a process that evens out the rotor surface) or replaced. Vibration. A vibration or pulsating brake pedal is often a warning of warped rotors, but can also indicate that your vehicle is out of alignment. The vibration can feel similar to the feedback in the brake pedal during a panic stop in a vehicle equipped with anti-lock brakes. It is a sign of warped rotors if the vibration occurs during braking situations when the anti-lock brakes are not engaged. Warped rotors are caused by severe braking for long periods, like driving down a steep mountain or when towing. Tremendous amounts of friction are created under these condition, heating up the rotors and causing them to warp. The vibration is felt because the brake pads are not able to grab the surface evenly. 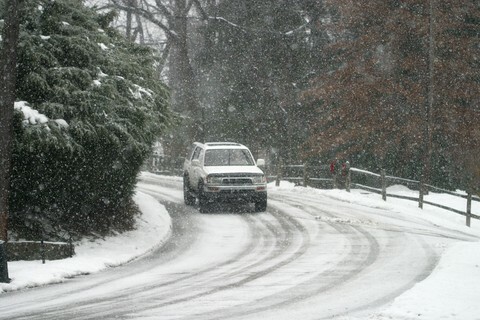 If you drive in these conditions, make sure to stop periodically to allow your brakes to cool off. For many owners, maintaining the vehicle’s brakes is something that is often overlooked. But keeping your brakes properly calibrated and in good working order can prevent costly repairs down the road and more importantly, help you avoid a collision.